Cloud-based optimization is the clear choice for customers wanting to save on infrastructure costs. But the choice of solver can give further savings. 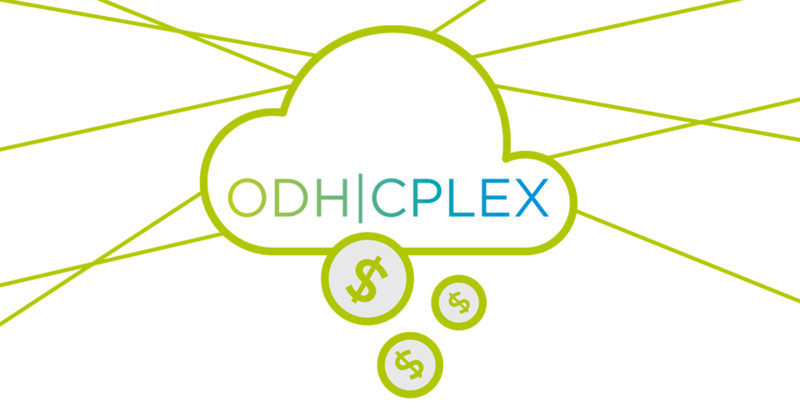 ODH|CPLEX runs in the cloud and because it’s faster than many competitive optimizers, for many problems, you can make dramatic savings on your hosting and cloud costs. A manufacturing client using ODH|CPLEX saved 75% of his cloud costs versus a competitive solver. A customer developing a workforce application uses ODH|CPLEX and gains 90% cloud savings and still gets near optimal solutions. The combined innovation of Optimization Direct with the power of ODH|CPLEX in the cloud is a clear choice for complex optimization problems. Take a look at ODheuristics or Contact us find out more about cloud-based optimization.